Robert Ebert was born on June 18, 1942 and died on April 4, 2013. In his early life he lived at 410 E. Washington Street in Urbana. He married Charlie "Chaz" Hammelsmith Ebert in 1992. Roger Ebert has said that he was born in a town that was the center of the universe (Ebert 2011). In his blog and memoir he spoke lovingly of Urbana and Champaign, and of all the good fortune that he was afforded in his lifetime. Ebert was a small town boy who grew up to become a household name as a widely-popular movie critic and Pulitzer Prize winner, and along the way never forgetting about the influence and importance of his education and life in Urbana. 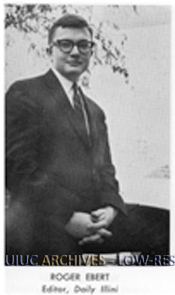 Ebert attended Urbana High School from 1956 to 1960 and went on to attend the University of Illinois, graduating with his Bachelor’s degree in 1964. He was involved with the newspaper industry early in life, and worked as a paper boy for the Courier. Ebert’s career in journalism began in 1958 when he was hired to write the sports column for Urbana High School in the local News-Gazette. At just 16 he was staying up late writing articles about the football and basketball games, working for 75 cents an hour. One of his pieces won first prize in the sportswriting category in the Illinois Associated Press writing competition. He later worked on obituaries and local interest pieces for the News-Gazette. 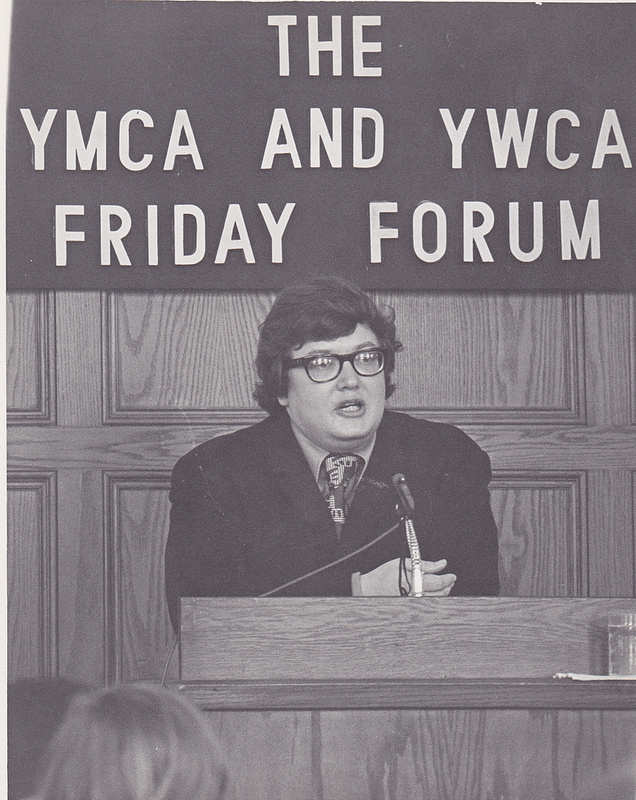 Ebert’s father once told him “[The University of Illinois] is the greatest university in the world. Someday you’ll go here.” (Ebert 2011) True to his father’s suggestion he attended the University on early entrance, enrolling in college courses while still in high school. Ebert began working for the Daily Ilini shortly after becoming full time at the University. By his junior year he had a weekly column in the Daily Illini and eventually editor of the paper. While working for the News-Gazette, he joined the Phi Delta Theta fraternity, was president of the U.S. Press Association, and won a Rotary fellowship to study at the University of Cape Town in South Africa. It was while working for the Daily Illini that Ebert would write his first movie review: published on October 4th, 1961 he reviewed La Dolce Vita, which he stated in later years was his favorite movie. After a few semesters as a master’s student at U of I, he was accepted as a PhD candidate in English at the University of Chicago in 1966. He applied to the Chicago Daily News, which went out of business in 1978, but was referred to the Chicago Sun-Times where he became a reporter and feature writer. After just a year at the paper he became the Sun-Times film critic in 1967. The workload between being a doctoral student and a journalist was too much and Ebert dropped out of the University of Chicago in the fall of 1967 to focus on reporting. Having received no formal education in film studies or in film reviewing, Ebert threw himself into his new role and absorbed all the information he could from interviews with directors and actors, time spent on film sets, and sitting down to watch movies in the theaters. He has stated, “…being a movie critic was not my career goal” (Ebert 2011). However, he worked with gusto and in 1975 he became the first film critic to win the Pulitzer Prize for Criticism. That same year Ebert began working with Gene Siskel on a television show called “Sneak Previews” that aired on PBS. This show was the direct predecessor of “Siskel & Ebert At The Movies” that ran from 1986 until Siskel’s death in 1999. The show then became “Roger Ebert & the Movies” until fellow Sun-Times columnist Richard Roeper became co-host with Ebert. Ebert remained on the show until 2008, however from 2006 to 2008 he had begun undergoing surgeries and radiation therapy for various cancers and did not appear often. 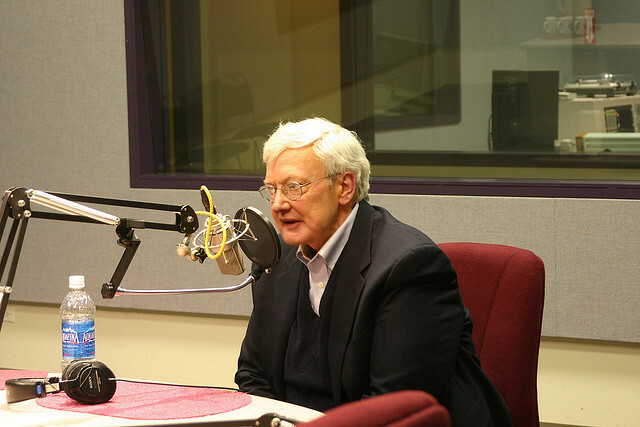 Through syndicated newspaper columns, television shows, his attendance at film festivals worldwide, and his blog, Roger Ebert became a household name. His quips with Gene Siskel, rating movies with a thumbs up or down, and his iconic statement ‘I’ll see you at the movies,’ made him popular with both movie-makers and movie-goers alike. 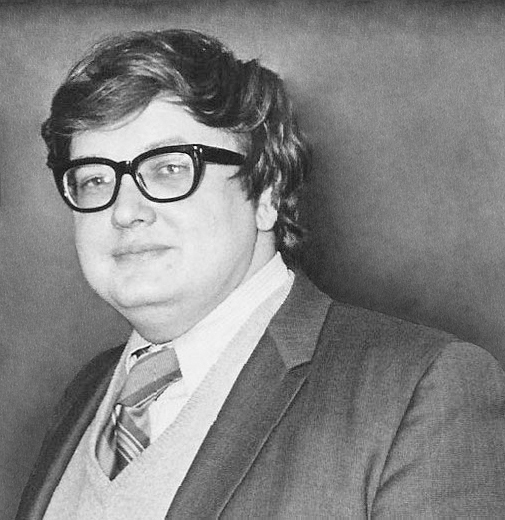 In 1988 Ebert had a surgery to remove cancer in his right salivary gland. The cancer was successfully removed but Ebert was warned that it may return. In 2002, and unrelated to the previous cancer, it was discovered that Ebert had thyroid cancer. The tumor was successfully removed this time as well. In 2006 Ebert was treated once again for cancer, this time of his right jaw, and he assess it was likely related to his original salivary gland tumor. After several reconstructive surgery attempts Ebert was left unable to speak and continued for the rest of his life eating and drinking through a feeding tube. Ebert never let that get him down, and in his memoirs recounts that losing the ability to taste allowed him to replace that desire for eating with memories tied to food. He states, “I could if I wanted to right now close my eyes and re-experience an entire meal at Steak ‘n Shake, bite by bite in proper sequence, because I always ordered the same items and ate them according to the same ritual” (Ebert 2011). Ebert was known as an avid fan for the popular restaurant chain Steak ‘n Shake. Due to complications from a fractured hip that was revealed to be another bout of cancer in March 2013, Roger Ebert posted on his blog on April 2, 2013 that he would be taking a leave of presence from the blog and from the spotlight. His full intentions were to return with a new series of the tv show “At the Movies” and to write a fourth edition of his book series “Great Movies.” The last sentence on his blog reads, “So on this day of reflection I say again, thank you for going on this journey with me. 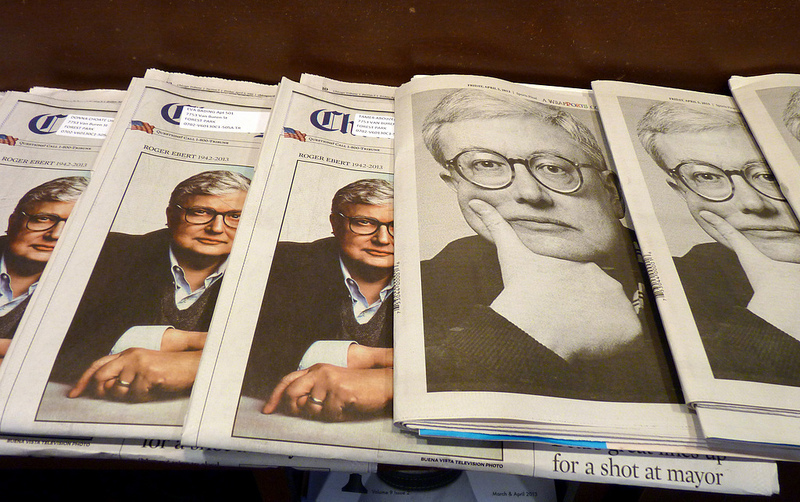 I'll see you at the movies.” Just two days later on April 4th, 2013, Ebert passed away at the age of 70. Ebert never forgot Champaign-Urbana and visited frequently. In 1997 he was approached by the Univeristy of Illinois’ College of Media to create a film festival that would occur annually in Champaign. This festival, initially called “The Overlooked Film Festival,” featured picks by Roger Ebert himself that he felt did not receive enough credit. Ebert would introduce films at the festival, and later when Ebert was ill, his wife Chaz would take over that role. The festival name was later changed to Ebertfest. 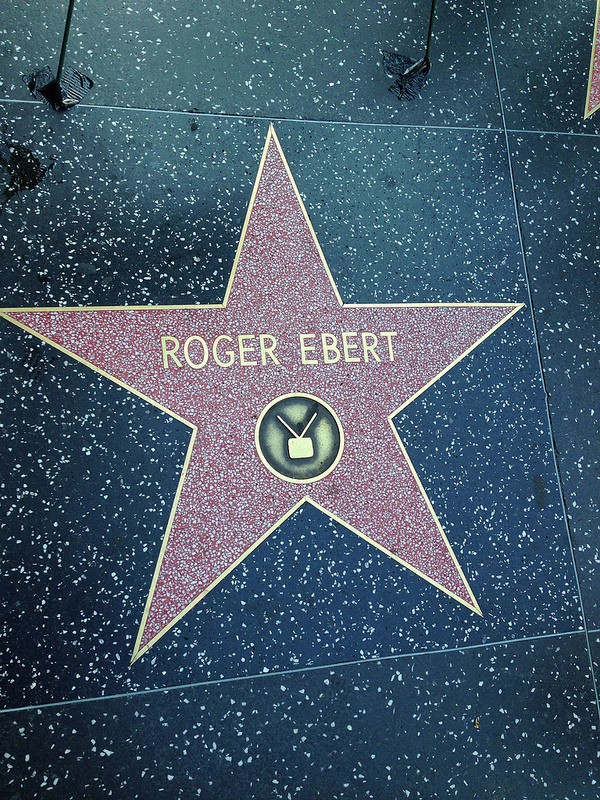 2013 marks the 15th annual Ebertfest. 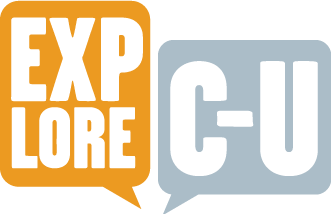 Kara Brehm, “Roger Ebert: From Urbana to a Household Name,” ExploreCU, accessed April 22, 2019, https://explorecu.org/items/show/215.